This is Trinity, our Tamworth breeding gilt from last years litter of piglets. She is the classic gorgeous orange/red coloring of a Tamworth and comes from excellent breed stock. She is the result of AI breeding and her sire is a champion Tamworth boar named Rusty. She will have her first litter of piglets this summer here at Stark Hollow Farm in Vermont and we will have some of these piglets for sale. Please inquire if interested in pure bred Tamworth breed stock. 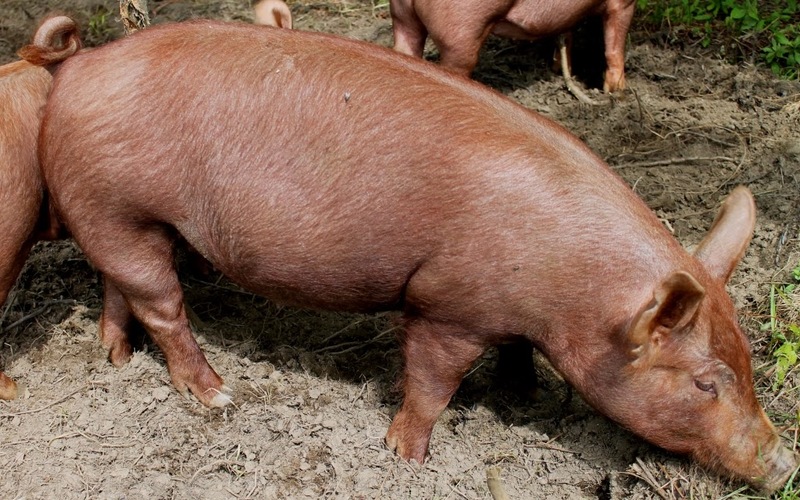 The Tamworth is a heritage breed pig, listed with the American Livestock Conservancy as a Threatened breed.